Down the Rabbit Hole Bubble Bar is yet another Lush Oxford Street, Easter exclusive. Some of you however may have been lucky enough to pick one or two of these up from the Lush Kitchen last week. That particular batch sold out within minutes, if you managed to get just one I’d very much like to shake your hand as you’ve a good set of super, speedy fingers! Prior to last weeks Kitchen release Down the Rabbit Hole Bubble Bar was only ever available from the Oxford Street store. I guess the sheer exclusiveness of this product was the catalyst that made the Kitchen batch sell out so very quickly. 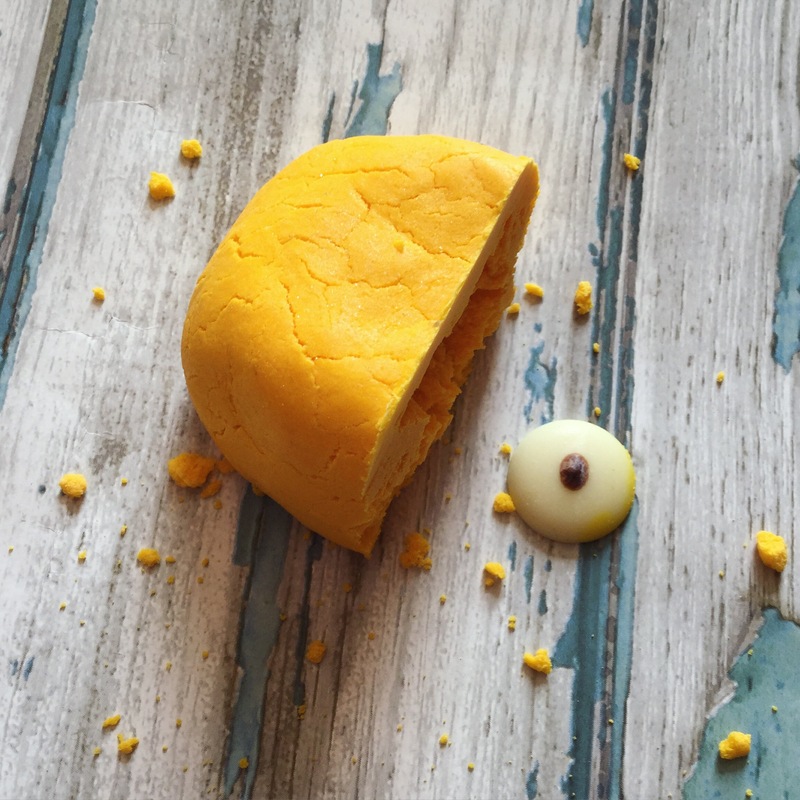 On paper the Down the Rabbit Hole Bubble Bar sounds amazing, being a HUGE fan of anything remotely citrusy I just had to check this bubble bar out before Easter 2016 came to an end. Down the Rabbit Hole’s main ingredient is Brazilian sweet orange oil, this essential oil is very popular within Lush products. Not only does it smell delicious, it also has skin brightening properties. Its sweet tangy scent is the perfect pick-me-up should you find yourself down in the dumps. 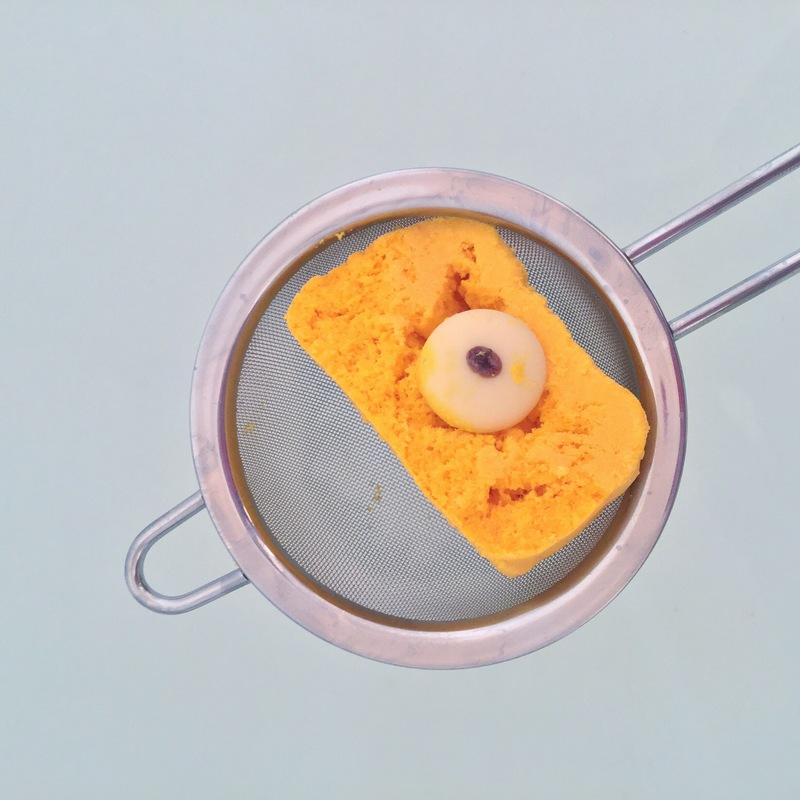 The first thing that you notice about Down the Rabbit Hole Bubble Bar besides its uplifting scent is how very pleasing it is on the eye. The deep pink, summer orange and dazzling yellows that this product consists of all blend together beautifully. each swirl of colour compliments each other making it that little bit more eye catching than other products. 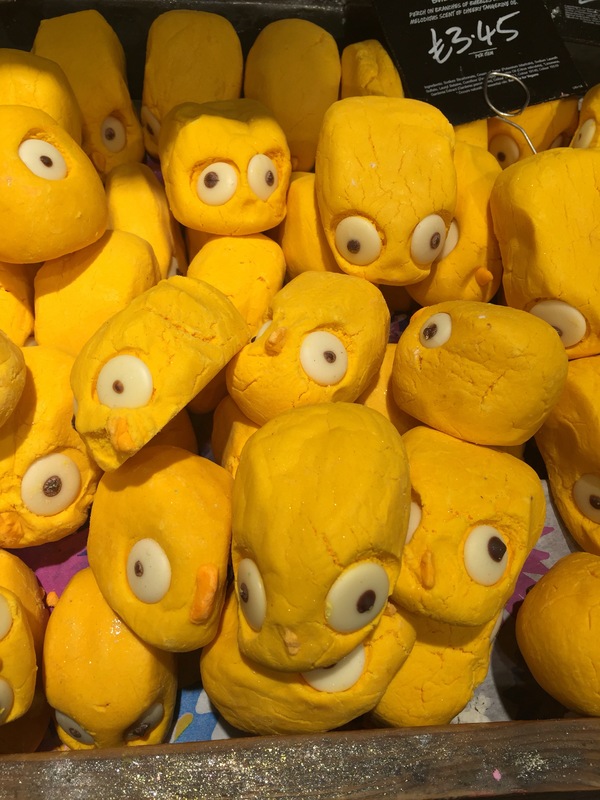 Lush make so many attractive products that sometimes you can get a little overwhelmed. The thought of breaking up this gorgeous bubble bar made me a little sad, I very nearly didn’t. I however know that Lush pride themselves on the fact that their products are fresh so wanted to use this exclusive bubble bar in its prime. 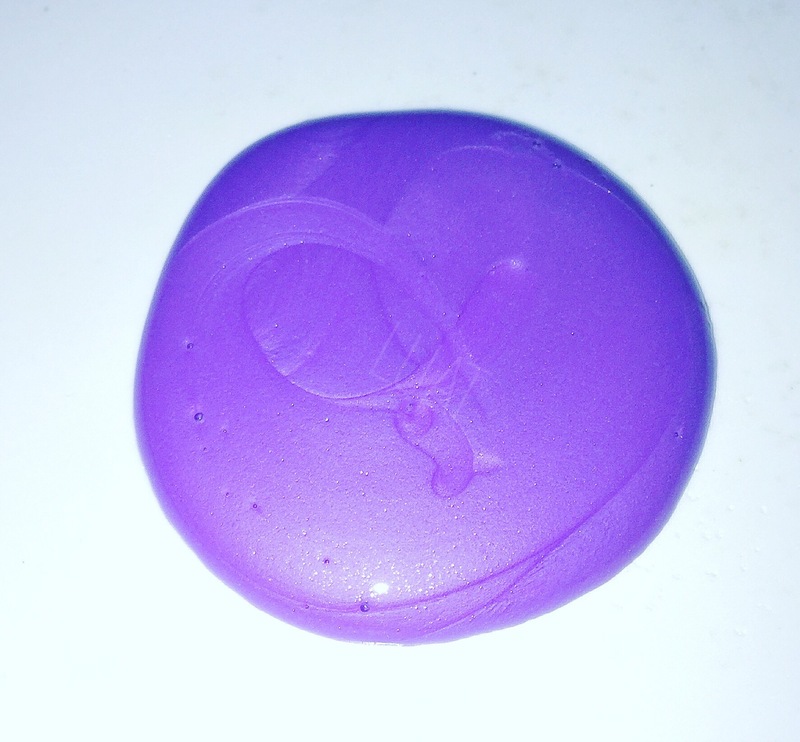 In diameter the Down the Rabbit Hole Bubble Bar is similar to the super chunky bubble bar The Comforter. It however isn’t as thick, I’d say it’s probably about half of its size in depth. 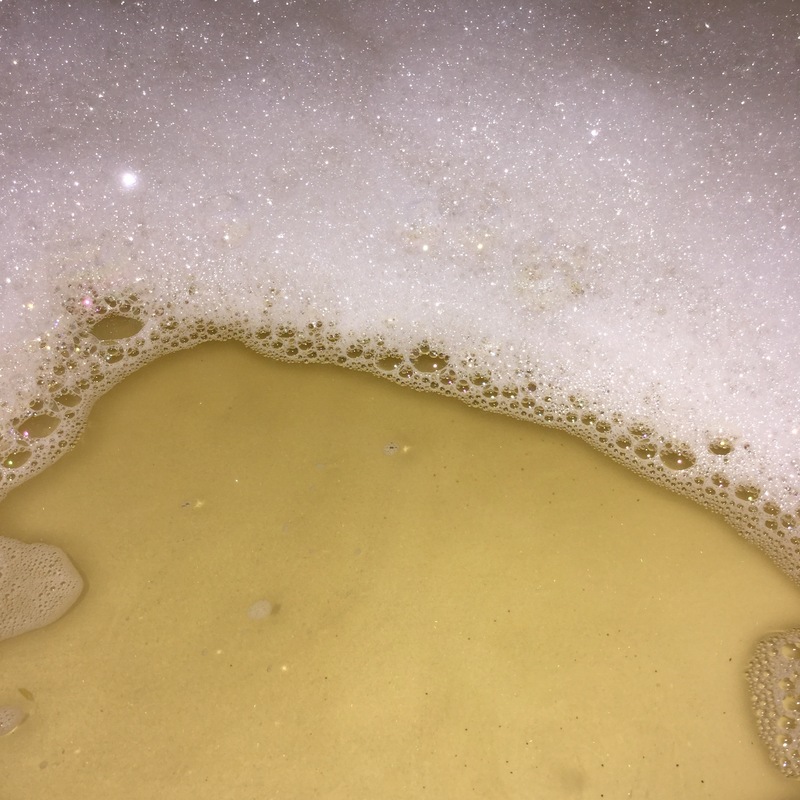 Down the Rabbit Hole’s thinness in comparison to the chunky bubble bars that Lush have on offer mean that this bubble bar won’t stretch over as many baths as I had grown accustom to with the likes of Brightside and The comforter. The Comforter bubble bar would make me 8 maybe 9 generously bubbled-bubble-baths. After experimenting a couple of times with the Down the Rabbit Hole Bubble Bar I recommend that you use at least half of it per bath. Using a quarter of it left me with only a light blanket of bubbles and hardly any scent at all. 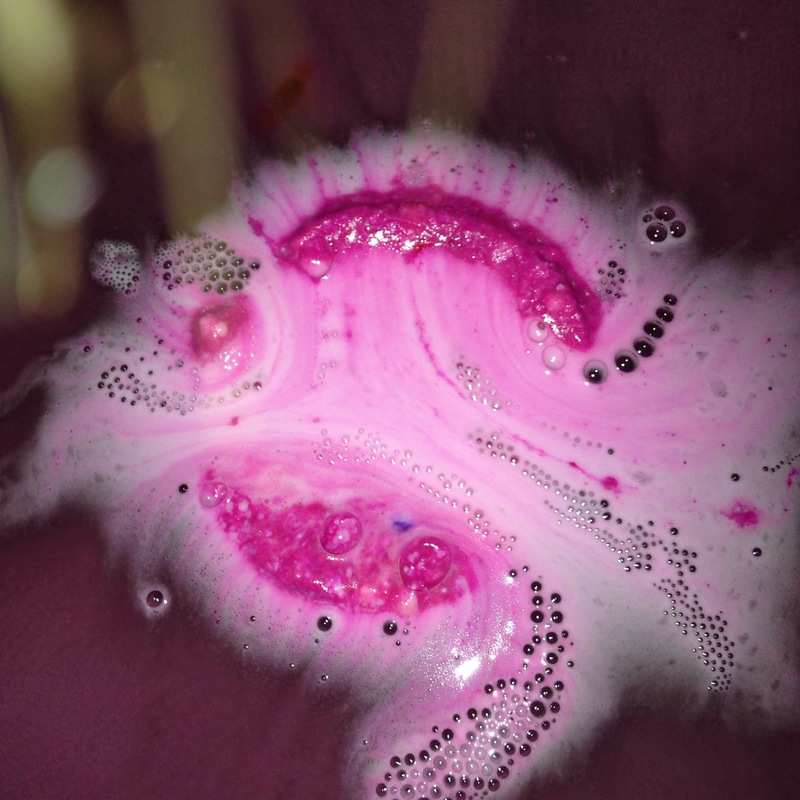 Included in Down the Rabbit Hole’s ingredients are various types of lustre making the bath water underneath the canopy of bubbles sparkle away. I know some people think lustre is glitter, the mere mention of it being an ingredient within a cosmetic product makes some literally run for their lives. I am not sure how many times I have actually addressed this in my blog as people ask me about it all the time. ‘Lush glitter’ isn’t scary at all, it actually makes for a very pleasant, bathing experience. I feel as though I need to dedicate a paragraph like this to all of my lustre-infused-product reviews. In my own words I would describe ‘lustre’ as cosmetic shimmer, it is very similar if not the same ingredient that you can find in various make up products such as bronzer. I was so excited to try this product and by all means I enjoyed the bubble bath it created, I just wish its scent was a little more apparent. Looks wise this bubble bar is one of the prettiest that Lush have provided us. 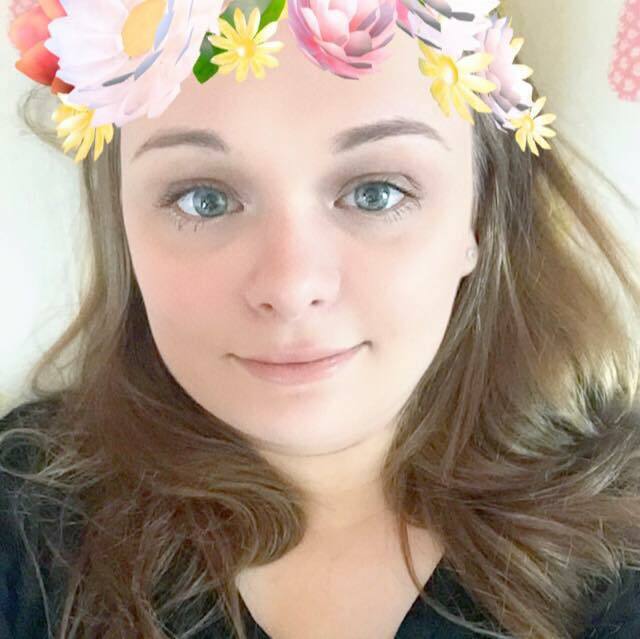 I however wouldn’t go out of my way to get more as I prefer the products with stronger scents. 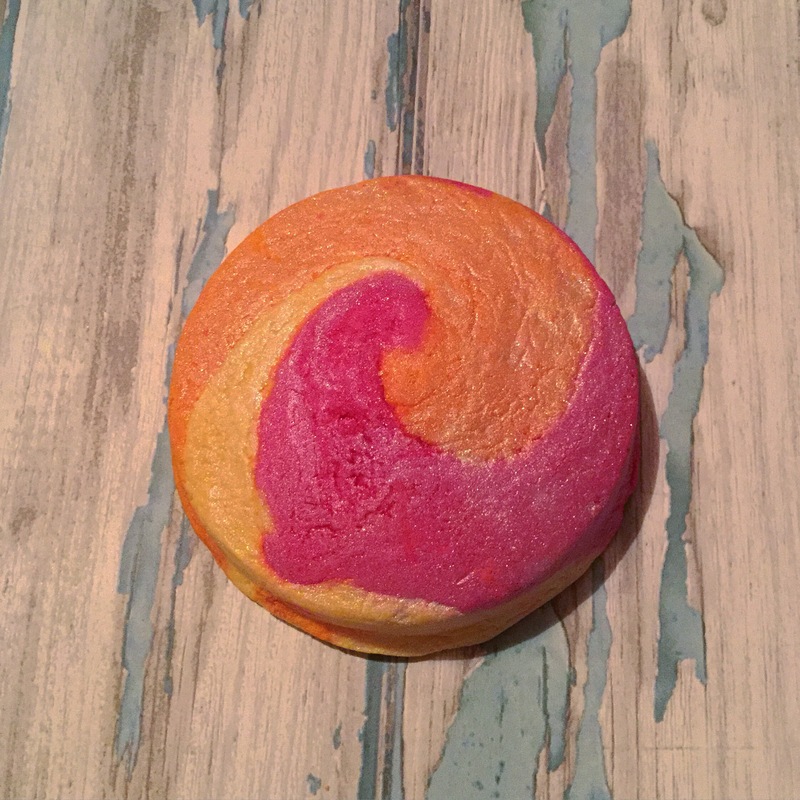 What did you guys make of this bubble bar? I finally got hold of the Lush Oxford Street exclusive, the Somewhere Over the Rainbow Bath Bomb. A huge thank you to my sister-in-law Kelly for picking these up for me. I literally squealed with delight when this handsome little bath bomb arrived on my doorstep. When I very first see the sneak peaks of this bath bomb, I predicted that it would be similar to the Sacred Lotus bath bomb in terms of fragility. Somewhere Over the Rainbow is however the complete opposite of fragile. 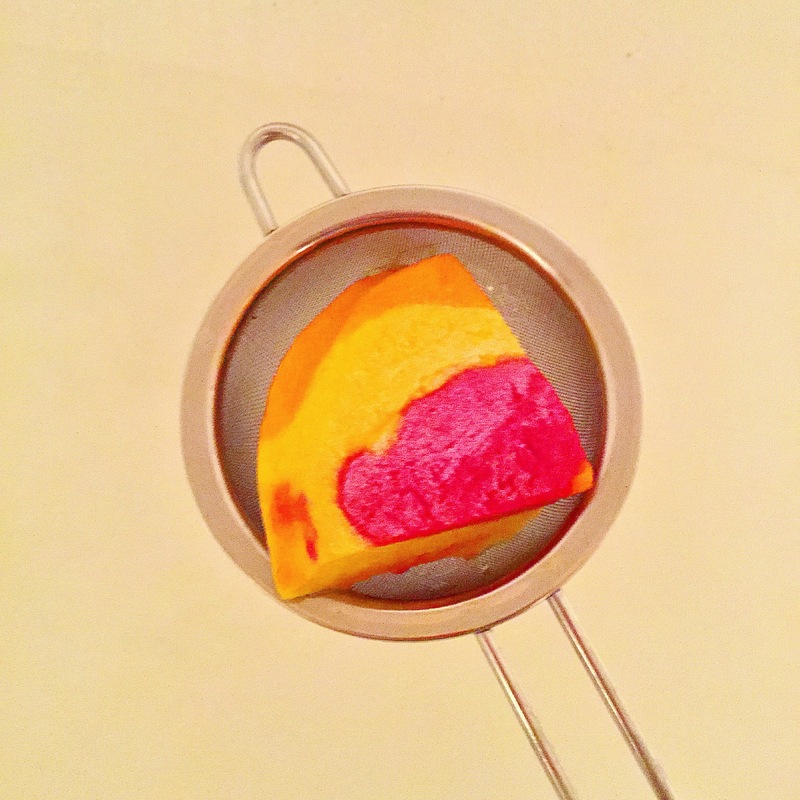 For its unusual shape, it is remarkably sturdy putting other oddly shaped bath bombs to shame. I’m 100% positive that Somewhere Over the Rainbow shares its scent with another Lush product, I however can’t work it out and it’s driving me insane! – I wish that I could have them all in front of me to sniff so that I could work it out. I found a little bit of information about it online but seeing as it’s a very newly released bath bomb no one has had the chance to write a proper review on it just yet. Containing sicilian mandarin and neroli oil it is a relaxing, mood boosting and refreshing bath time treat. Many people think that bath bombs are only good for winding down before bed. WRONG! The Somewhere Over the Rainbow bath bomb breathes life into my tired body, helping me go on for that little bit longer. As soon as Somewhere Over The Rainbow hits the water you’re greeted with a thick pastel coloured red and orange foam that is super moisturising and soft. 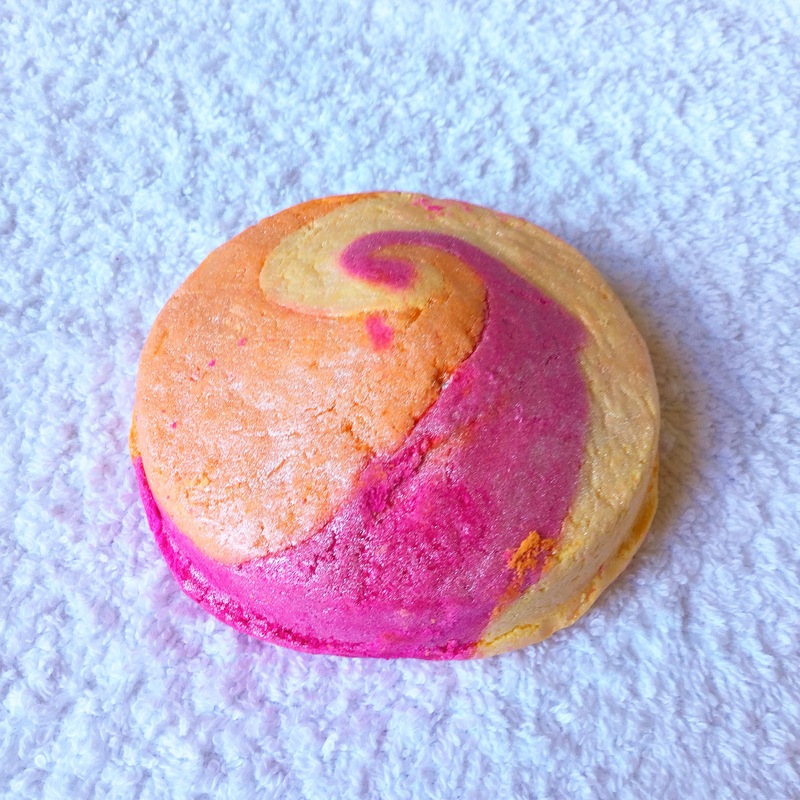 Unless you’ve been living under a rock you’d already know that the Somewhere Over The Rainbow bath bomb is inspired by the film The Wizard of Oz, It’s kaleidoscope of colours really does draw you into the magic that comes if you follow the yellow brick road. 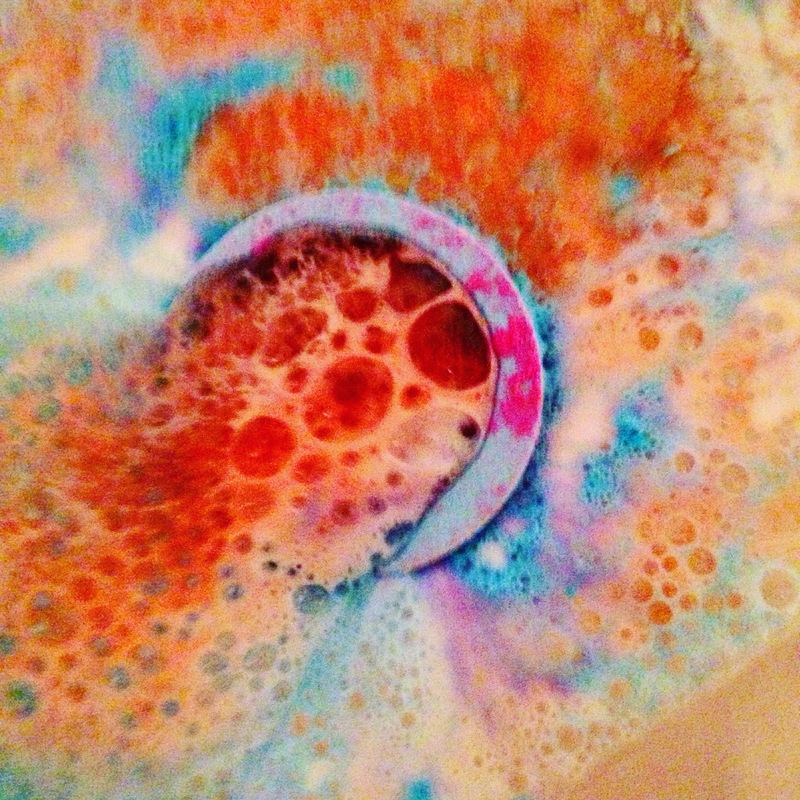 I always get an unbelievable amount of photos when I use this bath bomb. I thought that it would be a quick fizzer with the odd splash of colour, it was however so much more than that. It fizzed away very slowly, gracefully filling my bathroom with a soft citrus and calming neroli scent. This combination works a trick for shaking off any worries or stress you may be feeling. 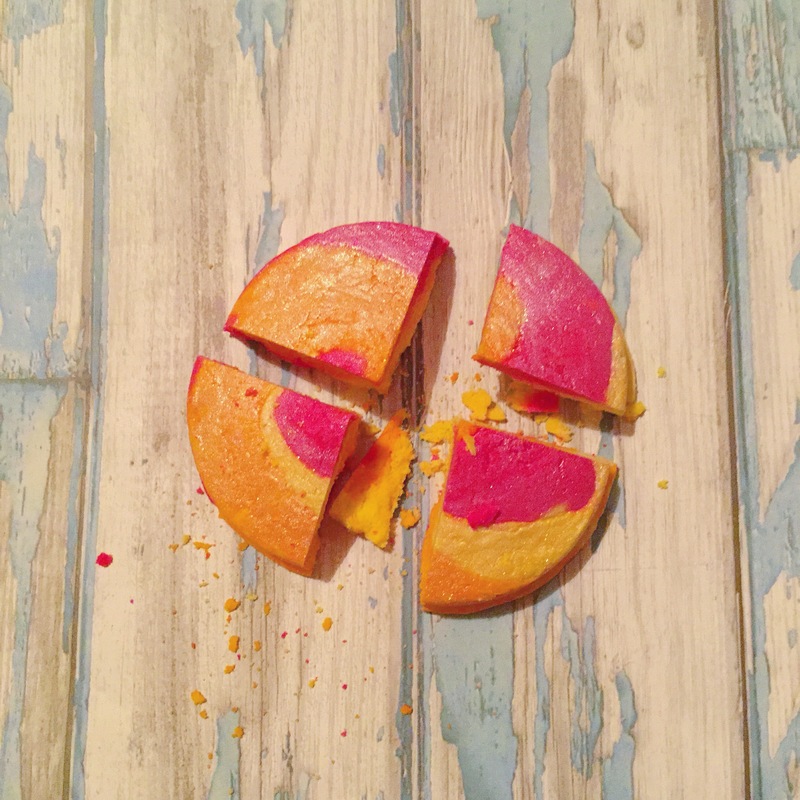 I am devastated that I only have one more of these bath bombs left in my own personal stash, they were an Easter 2016 limited edition release so you can no longer get them. I feel that once Easter 2016 was over, the absence of the Somewhere Over the Rainbow bath bomb left a big empty hole in the Lush world. It’s a brilliant product and would make for a fantastic permanent edition, I’d love it even if Lush just decided to keep it on as a Lush Oxford Street exclusive.